What would benefit you, somebody smacking you in the back of the head for about six straight hours, but we got homes to go to – Andy Sipowicz, NYPD Blue. Wow! THERE’S a character I haven’t thought about in a long time. 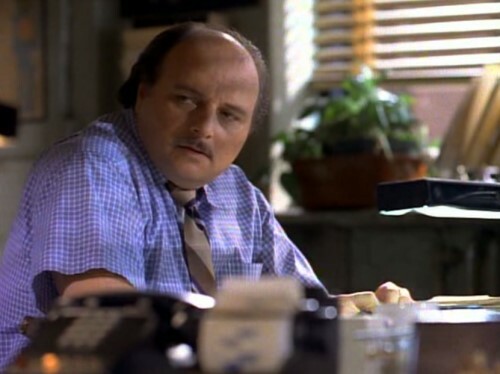 There are those who believe without Sipowicz, our first deeply flawed and yet much loved characer, there would have been no Tony Soprano and no Walter White. NYPD Blue was a ground breaking show for a lot of reasons! :) I’ll be sharing some more of my favourite lines from the show and the characters on upcoming Wednesdays. Kathy G said it first. Thank you for taking me back to NYPD Blue! I would love to watch this series again.